There are a lot of Sirius XM car antennas being sold. All are not the same. There are wide variation in the quality of signal reception and durability. You might think that Sirius XM are the only ones making antennas for their radios but there are several other manufacturers that make these even better than Sirius XM themselves. There are a few factors that you need to consider prior to selecting your antenna. The most important decision is where you would like to place the antenna. The antenna that comes with the Sirius XM car kit is typically a small two-inch square with a magnet on the bottom. It comes with a roughly 20-foot cable and we find most do the obvious thing which is to put it on your roof and run the wire to the radio somewhere in the center of your console. If you never have a passenger, this may work well. If you have a passenger, consider mounting the antenna inside your car. We wrote an in-depth article on this topic which you can read here. Most Sirius XM owners can use the standard everyday Sirius XM Magnetic Car Antenna. This is one of your everyday Sirius XM car antennas. It’s is a good antenna that isn’t too large. As previously mentioned, a lot will simply use the magnetic bottom to adhere it to the rook. Some will use an antenna mount. Others will actually snake the antenna wire through the interior lining of the car to hide most of the cable. Pictured in the photo that accompanies this article we have the Car Windshield Suction Cup Antenna Mount for Sirius / XM Radio. Works with most Sirius XM car antennas. I always worry about taking apart the interior lining for fear I cannot get it back together properly. I recently saw a guy driving down Route 3 in New Jersey with his windows open and the interior lining from the roof was loose and hitting him in the head. I wondered to myself if he tried to snake the antenna cable and didn’t tuck it in right. The antenna adheres to the mounting plate using included metal strips. The stock antenna has magnets embedded within so it will stick to this mount just like the top of your car. Genius. If you are real serious about your satellite radio and don’t mind an antenna that’s a bit large, the Tram Mirror Mounted Sirius Antenna might be what you are looking for. Really not a bad design, and it’s typically used for trucks and rigs but can work on a car. These antennas have high performance features for certain XM satellites and comes equipped with a very thick coax cable. These clamp to the large mirror on the side of a truck. When it comes to Sirius XM car antennas, this is one of the largest and most heavy-duty. 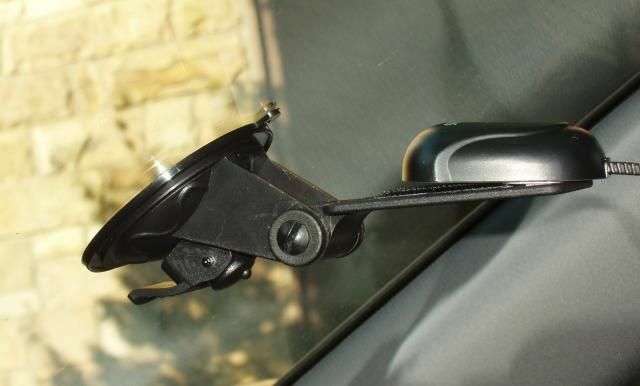 Another unique antenna is one that attaches to the outside of the windshield is the Sirius XM Satellite Radio Glass Mount Antenna. This antenna kit uses a combination of silicone and magnets to get the signal to the inside of your car. Most use it on the rear windshield so it will require a significant amount of wiring in terms of hiding the length from the front of the vehicle to the back. It’s a unique design and in my opinion beats the look of the magnetic antenna on the roof but as previously stated requires some creative players of the “hide the cable” game. Lastly, take a look at the Shakespeare Ultra Low Profile Sirius Marine Antenna. It’s normally used on a boat. This one can be mounted on your dash or anywhere on the car. Be aware that you would need to drill a hole to run the antenna wire through. Some don’t mind doing this in the name of a clean installation look but do think about how someone may react to this when you go to sell your car years from now.